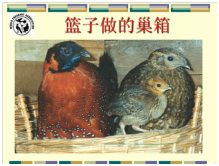 In 2007 WPA held an International Galliformes Symposium in Chengdu, China. 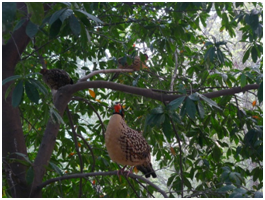 For a week before the Symposium, WPA staged the first ever International Conservation Breeding Workshop for threatened pheasant species at Chengdu Zoo. This workshop provided the opportunity for people working with some of the world's rarest birds to share experiences and to learn from each other. The friendships established during this workshop endure to the present day and now much more information is available on pheasant conservation breeding than previously. 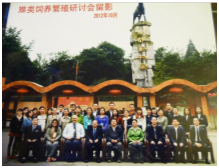 We work closely with our colleagues in WPA China, who always encourage and support our training activities. 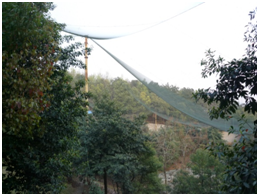 After the workshop, our hosts, Chengdu Zoo, demolished their very dated aviaries and replaced them with a magnificent walk-through aviary for pheasants and laughing thrushes. Beijing Zoo sent their Curator of Birds, Mrs Zhang Jing, to this workshop and we learned about their breeding successes with species such as Chinese monal and Harman's eared pheasant. 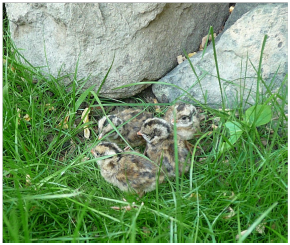 The zoo adopted many new techniques after the WPA workshop and improved their breeding successes with many pheasant species. On a training visit to the UK, Zhang Jing observed some of the marvellous pheasant aviaries at Sparsholt College in Hampshire, UK and she designed a new pheasant aviary complex in her zoo's breeding centre based on the Sparsholt model. 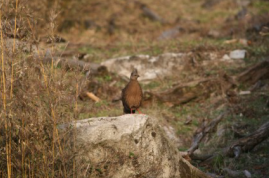 At the same time, she began a detailed study of Blood pheasants in the Qinling Mountains. By placing artificial eggs with remote sensors in the nests of wild Blood pheasants, she was able to gain invaluable new information about the incubation of Blood pheasants. She discovered that wild hens often left their nest to feed for up to 7 hours during which time the eggs cooled to just 10oC. However, the eggs survived well and hatched normally, but after 31 days instead of 28 days, which is the norm within an incubator. 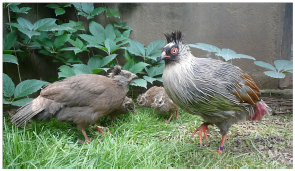 By replicating the natural incubation temperatures and humidity, Beijing Zoo was able to hatch a number of blood pheasant eggs and recently became the first zoo ever to parent-rear this species in captivity. Five young were reared by both parents from the five eggs that were laid in the new aviaries. 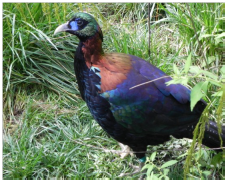 WPA has also offered advice and assistance to the Cabot's tragopan rescue centre in Hunan Province where a 2.4 hectare aviary offers the opportunity for this species to breed naturally. In Sichuan Province, WPA was asked to help revive a breeding programme for Chinese monals. WPA France offered training and an incubator, and WPA in the UK has also visited the programme regularly and offered more training, both within China and at a Workshop in Thailand. The staff of the training centre have designed new, much improved aviaries and the immediate result was the rearing of two chicks in 2012 as soon as the new aviaries were available. 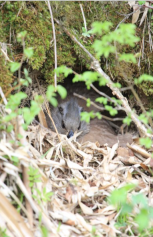 Sadly, the Sichuan earthquake in 2013 had a major effect on the breeding of the birds, but it is hoped that more breeding successes will be seen with this spectacular species. 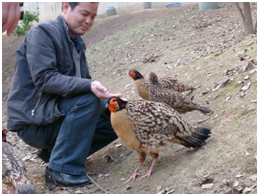 In October 2012, the China Association of Zoological Gardens convened its first ever Conservation Breeding Pheasant Workshop for Chinese Zoos; it was held at Chengdu Zoo. Zoos from all over China attended and all of WPA's teaching materials were translated into Chinese so that all zoos have access to this information. The programme was presented by Andy Beer from Edinburgh Zoo and Sparsholt College, SatPal Dhiman and Minla Lachungpa from India, Zhang Jing from Beijing Zoo, Prof Zhang Zhengwang from WPA China and John Corder from WPA in the UK.